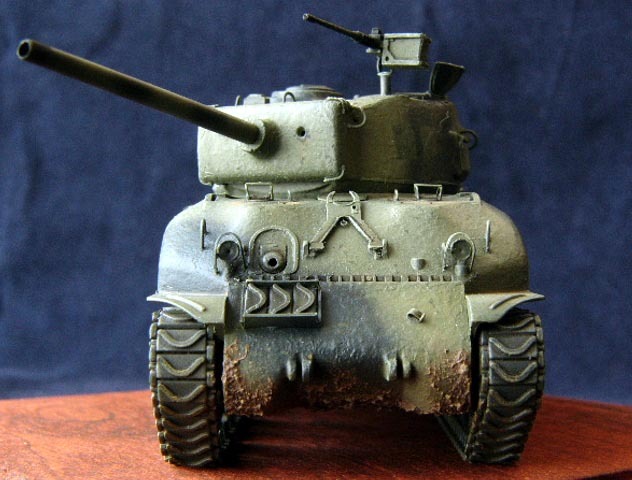 This is kitbash od Italeri hull and Eduard turret. 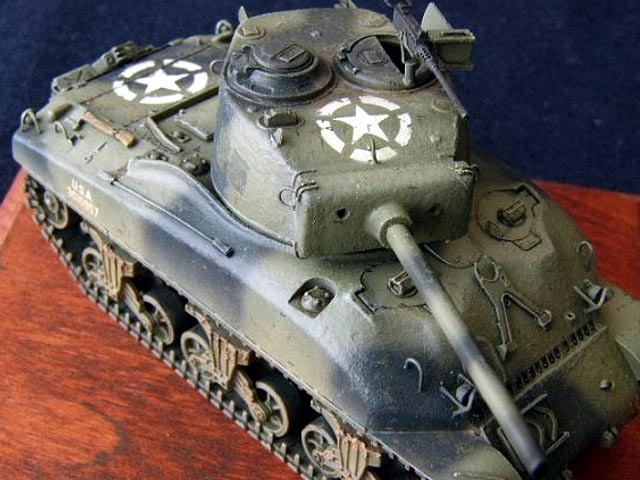 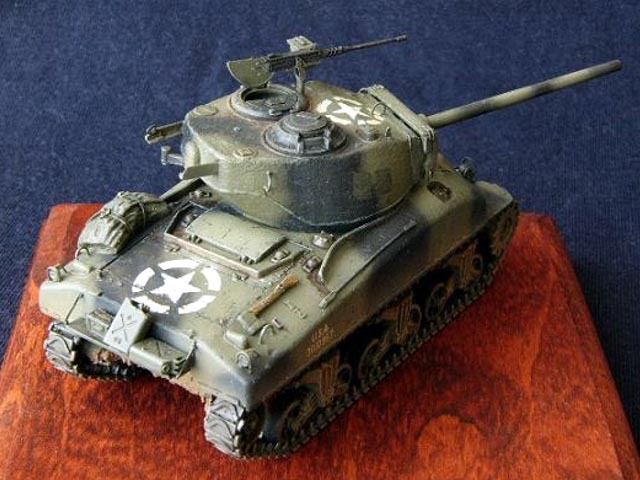 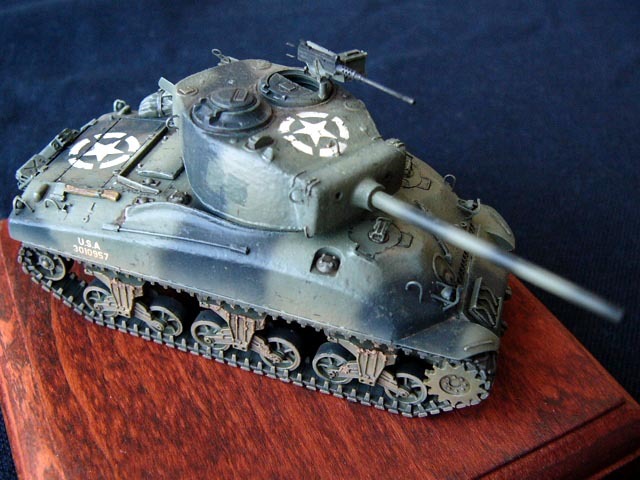 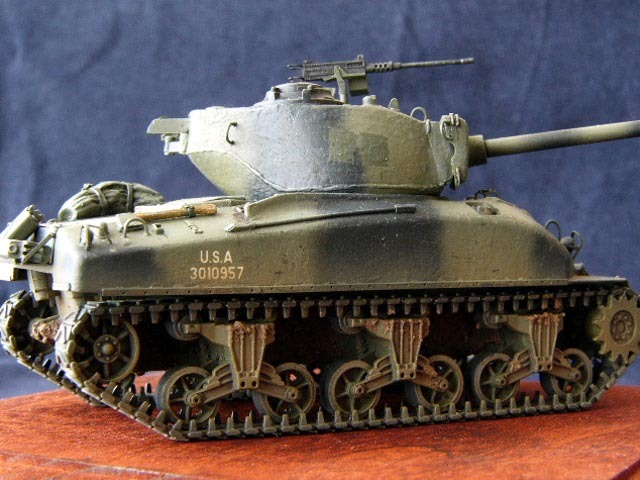 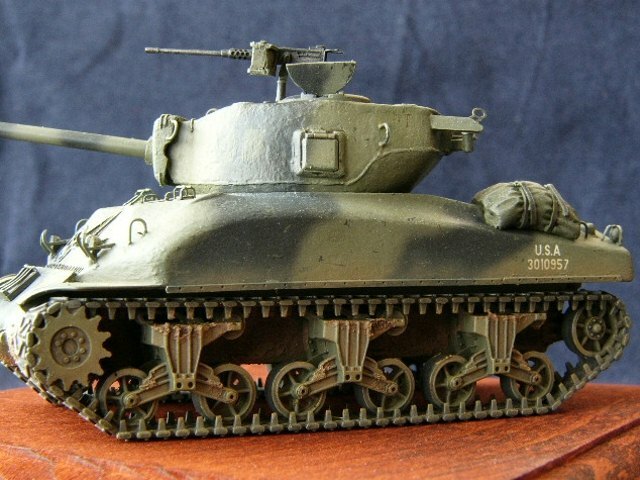 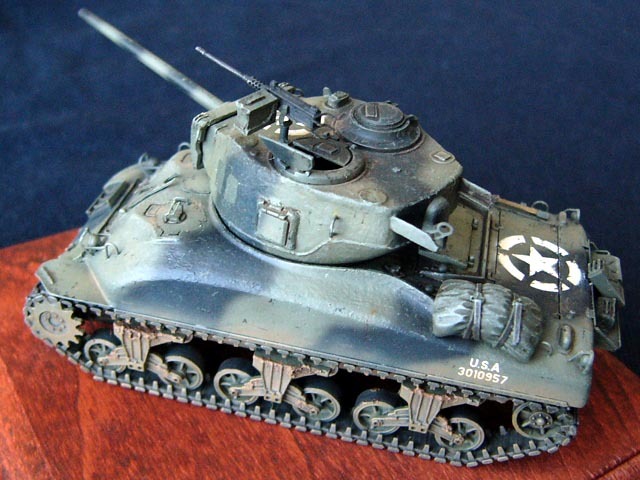 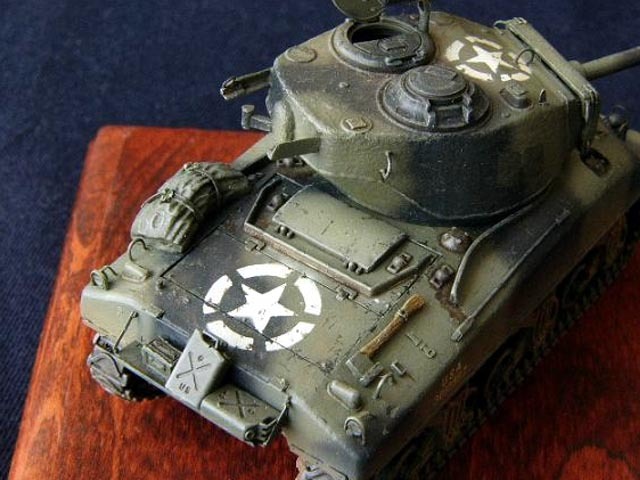 I have used also some etched parts form Eduard M4A3 profipack. 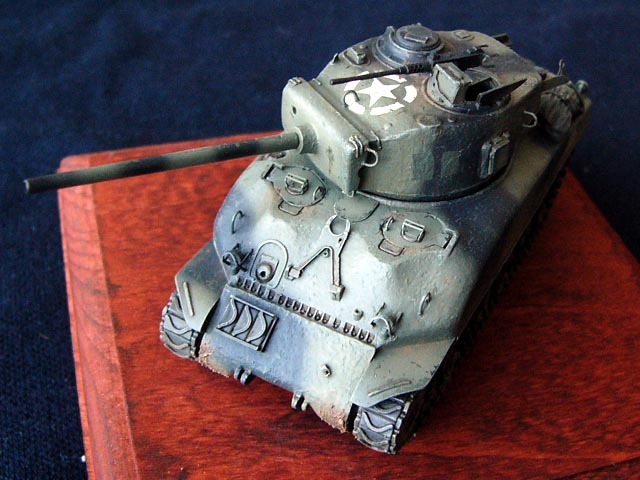 The camo is airbrushed with Valejo(OD) and Tamiya(Black). 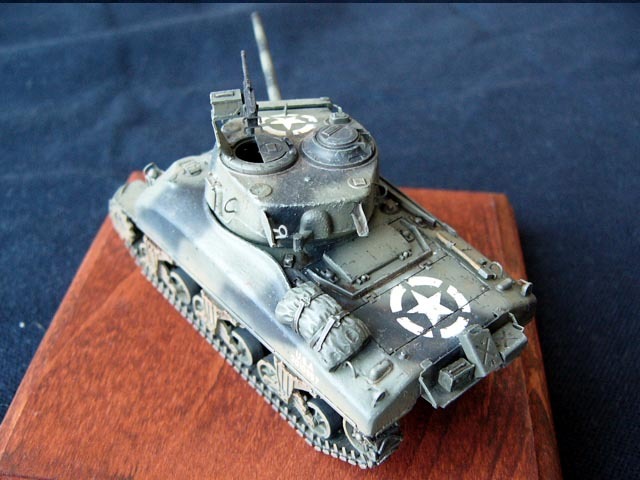 The stars are airbrushed through Eduard masks. 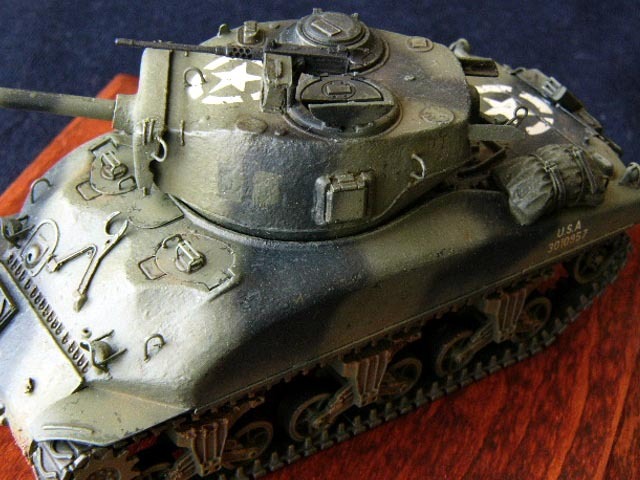 The mud is created using MIG Productions materials.